If It's Too Loud...: The Mighty Mighty Bosstones - "The Constant"
The first new album from The Mighty Mighty Bosstones since 2011's The Magic of Youth gets a little more real with the release of the second single from While We're At It, "The Constant." The new song is a very horn driven, mid tempo ditty that showcases the Bosstones's more groovy side. The hard edge and skacore is gone with "The Constant." If commercial rock radio was still a thing, this could have been a crossover hit and even earned some adult contemporary play. I know it sounds like an insult to the song, but I personally love the Bosstones's more sensitive side. Even though it may seem like the type of song the crowd patiently waits to so the moshing can begin again, at this point in the average Bosstones fan's life, we could all use a song to mellow out to during their shows. You can watch the video for "The Constant" below. 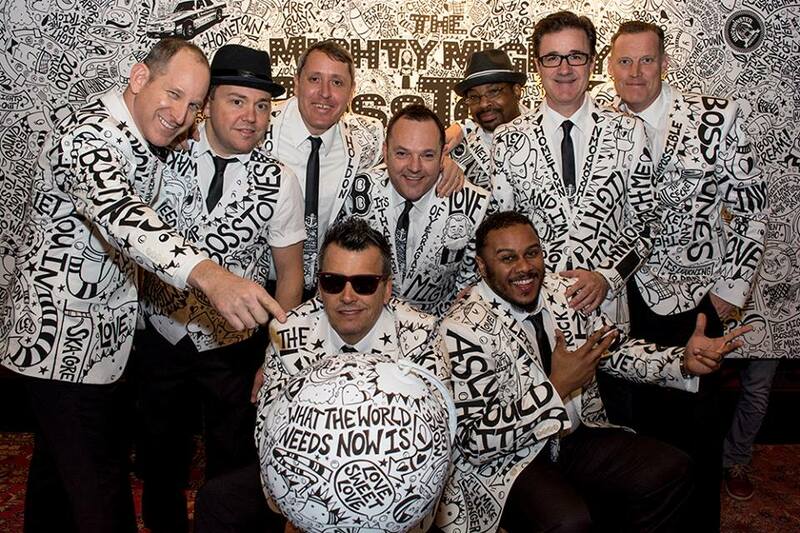 While We're At It, the new album from The Mighty Mighty Bosstones, will be out June 15. To pre-order the album in various bundles and to get any info you need on The Mighty Might Bosstones, check out their website.